Scan through the Nürburgring’s illustrious history of hot laps (ignore that pesky one-year ban on record attempts), and you’ll find that pretty every major manufacturer can lay claim to a Nürburgring lap record of some kind at some point. The Volkswagen Golf GTI Clubsport S is the fastest front-wheel drive hatchback ever around those sinuous 20.8 kilometres. The Nio EP9 from China is the fastest all-electric car to have lapped the circuit. Even the new Mercedes-AMG GT R recently beat out the Nissan GT-R Nismo for the ‘fastest street-legal rear-wheel drive car’ accolade. So, the car. As the name will probably have given away, the Huracán Performante – yet to be launched and thus running in camouflage – is a track-focused derivation of SantAgata’s baby model. Build and performance details are few and far between, and will remain so until its Geneva Motor Show debut. However, the Performante retains the road-going Huracán’s 5.2-litre V10 and all-wheel drive setup, with the LP610-4’s 602bhp and 560Nm (413lb ft) of torque figures expected to be boosted by up to 30bhp and 40Nm (29lb ft). Throw in the Huracán’s all-wheel drive system and that slots the Performante straight into McLaren 675LT territory. 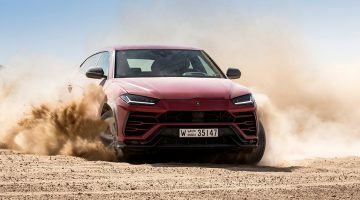 What Lamborghini has let slip though is that the bodywork will showcase Aerodinamica Lamborghini Attiva (ALA) technology, meaning aerodynamics and downforce will be top of the company’s to-do list, hence the massive rear spoiler and aggressive front splitter that was seen testing at the Nürburgring a few months ago. It’s also been speculated that special lightweight ‘Becker Carbon’, used prolifically throughout Formula 1 and Le Mans prototypes, could help drop the Performante’s kerb weight significantly from the Huracán LP610-4’s 1422kg. How capable will the Performante prove? Bear in mind that Lamborghini test driver’s Marco Mapelli’s 6m 52.01s laptime is just four seconds short of the stonkingly fast Radical SR8 LM around the Nürburgring, and seven seconds faster than the 740bhp Aventador SV. 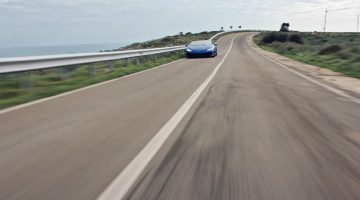 Enjoy this Lamborghini Huracán Performante video? VIDEO. 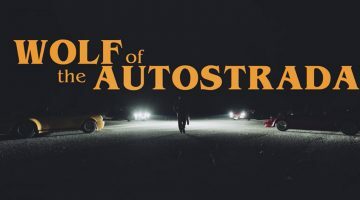 The Wolf of the Autostrada.